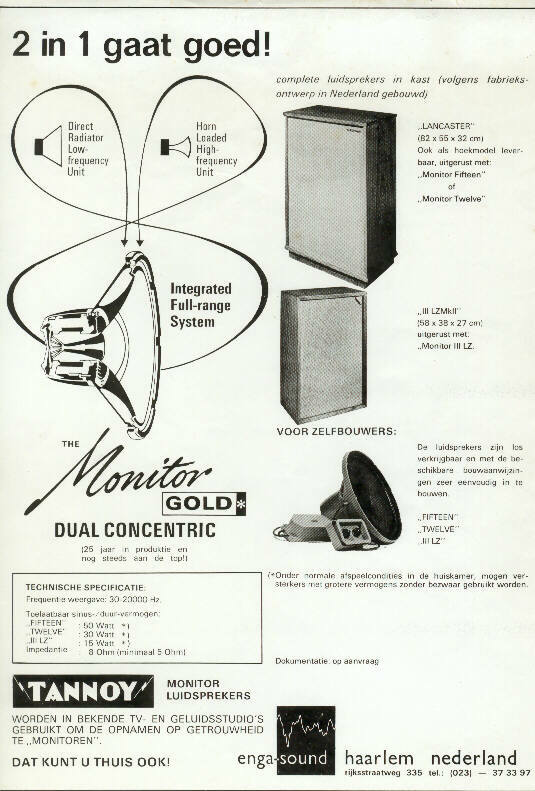 Above an add of 1972 of the Dutch distributor 'Enga Sound', using English Tannoy designed material. They sold the smaller cabinets as their major product and of course the bare chassis for DIY's. like these huge boxes in their often space limited living rooms. 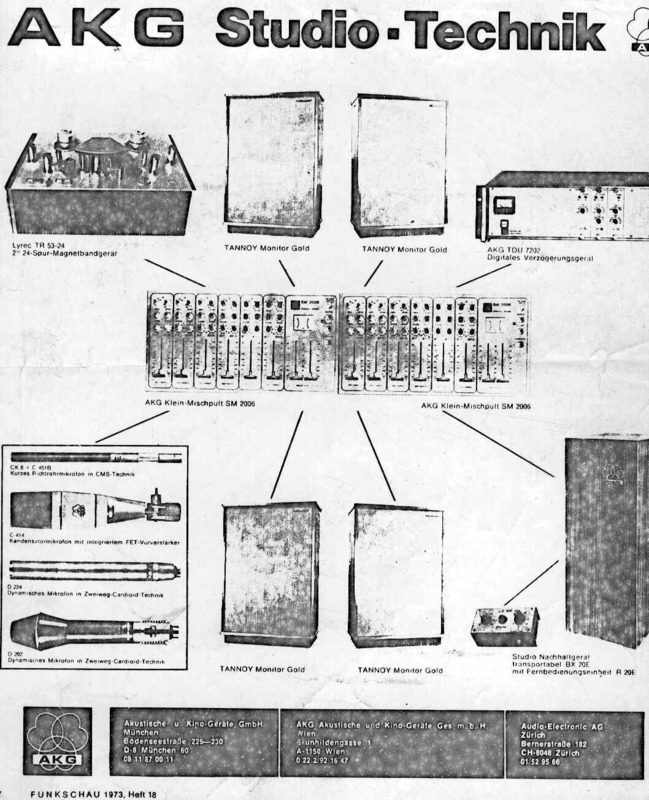 Below an add of AKG Austria in a German electronics magazine 'Funkschau' of 1973. This add targeted the professional users to help them buy AKG products. as they did not sell speakers of their own brandname. © Hans Hilberink PE1MMK ®. last update: 15-03-2002, lat update: 07-09-2010.